(Sarah E. Young @ ConsumerAffairs) This spring, iPhone and iPad users will be able to install a new update that will let them opt out of the feature that lets Apple slow down their aging iPhones. The new software update, iOS 11.3, will also include several new Animoji options, the ability to view health records in the Health app, and new ways to experience augmented reality, according to a sneak preview of the update recently released by Apple. Apple’s next operating system update comes on the heels of huge criticism and several lawsuits over allegations that the company had been throttling battery performance on older iPhone models. 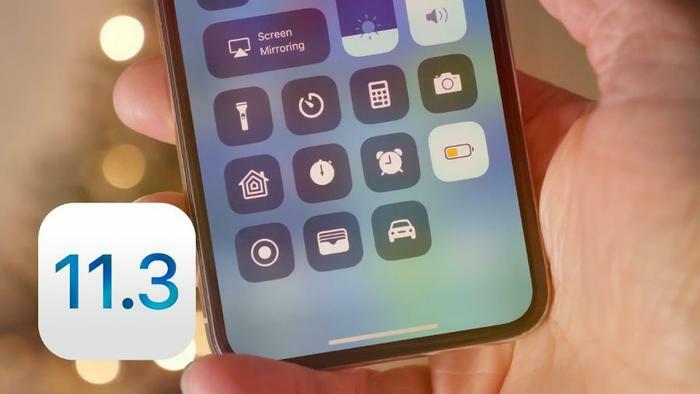 In an interview with ABC News, Apple CEO Tim Cook promised consumers that a new update was on the way -- one which would allow them to turn off the feature that slows down their iPhones as the battery deteriorates. While users will have the ability to opt out of this functionality, Apple doesn’t recommend users do so since it can cause unexpected shutdowns. The new update will give users the ability to check on the health of their phone’s battery and see if the battery needs to be serviced. Additionally, the preview shows a new Health Records feature that will let users compile their medical data from multiple providers in one easily accessible place. “The new Health Records feature brings together hospitals, clinics, and the existing Health app to make it easy for consumers to see their available medical data from multiple providers, whenever they choose,” Apple said. “Patients from participating medical institutions will have information from various institutions organized into one view and receive regular notifications for their lab results, medications, conditions and more,” the company said, adding that the data will be encrypted and password protected. Animoji options. A lion, bear, dragon, and skull will join the 12 different Animoji that were previously available to iPhone X users. This feature uses the Face ID motion sensing camera to let users animate emoji with their own movements. Music videos. Apple will add music videos to its Apple Music service, which could help it better compete with video streaming platforms like Netflix and Amazon Prime video. “Users can stream all the music videos they want without being interrupted by ads,” the company said. Augmented reality updates. Apple’s ARKit augmented reality apps will get some updates too. ARKit will be able to identify and place virtual objects on vertical surfaces, such as walls. Previously, it could only recognize horizontal surfaces. The new update will be available to consumers this spring. Apple says iOS 11.3 will be free for those with iPhone 5S and later, iPad Air and iPad Pro, iPad fifth gen, iPad Mini 2 and later, and iPod Touch sixth gen.